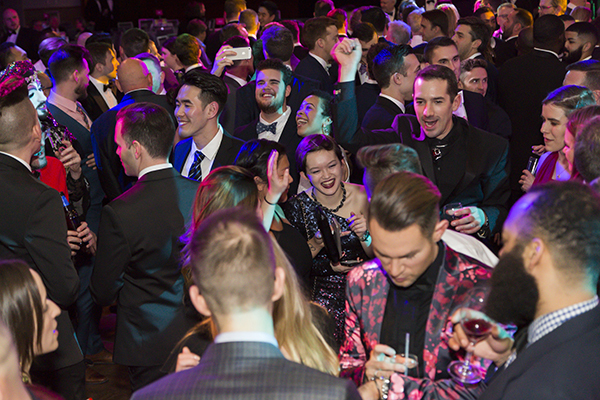 We’d like to thank everyone who helped make the 2018 Dinner Party and Men’s Event such huge successes! 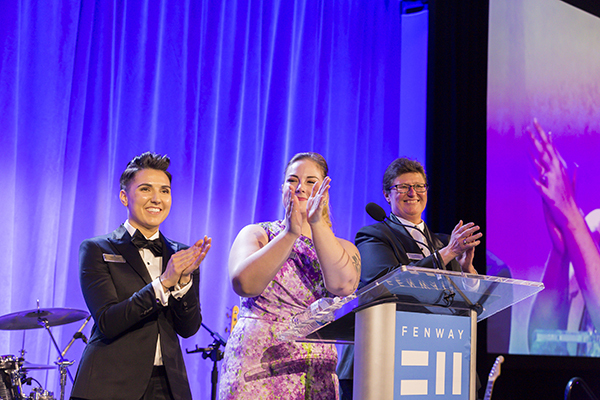 Thanks to your generosity, our two signature galas raised an incredible $1.34 million to support the life-saving services and programs at Fenway Health, showing the strength and dedication of our vibrant community. 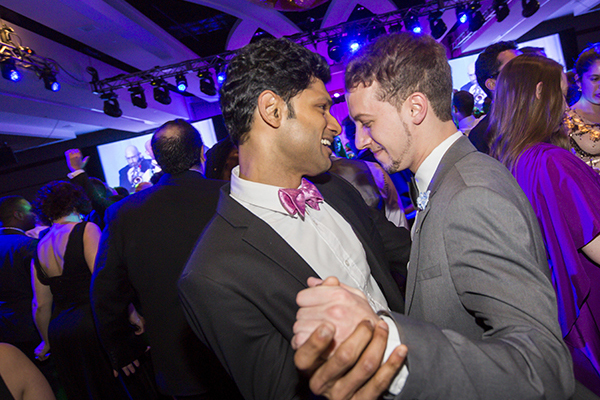 Both fundraisers are Boston’s biggest nights on the town for more than 2,400 LGBT people and their allies. 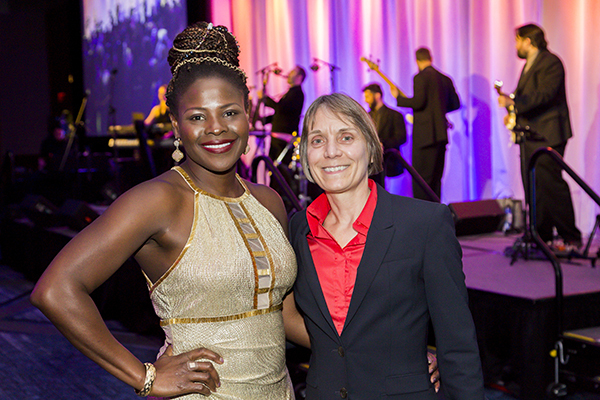 The 27th Annual Fenway Health Dinner Party was held on Saturday, April 21 at the Boston Marriott Copley Place. 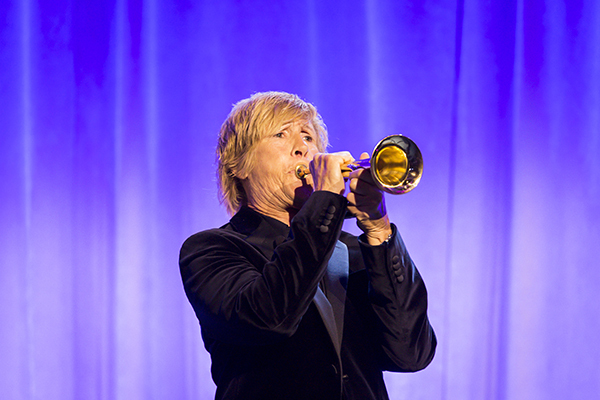 Renowned athlete Diana Nyad was honored with the Dr. Susan M. Love Award for her contributions to women’s athletics and fitness. 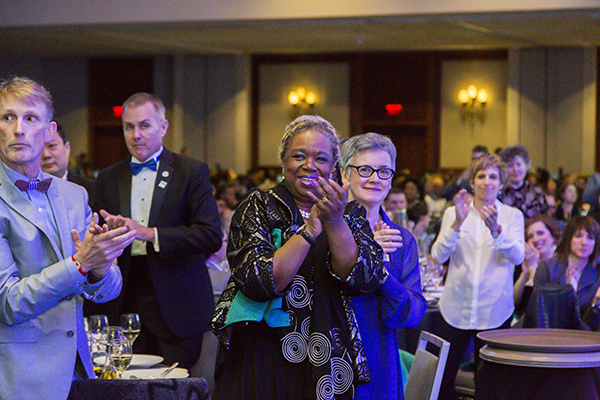 Each year, the Dr. Susan M. Love Award is given to honor and celebrate a woman and/or organization that has made a significant contribution to the field of women’s health. The Award is named in honor of its founding recipient, Dr. Susan M. Love, a pioneer in women’s health and breast cancer treatment. 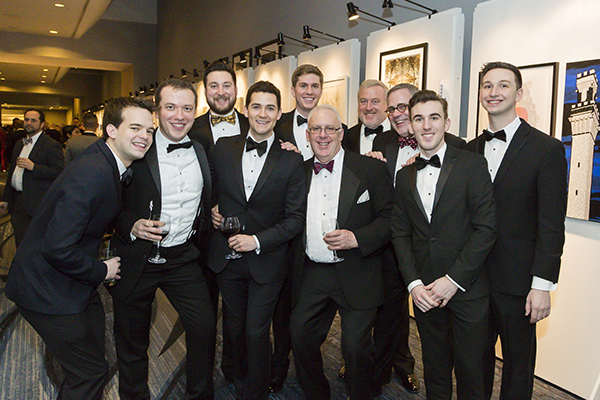 The 25th Fenway Health Men’s Event was held on Saturday, March 10 at the Boston Marriott Copley Place. 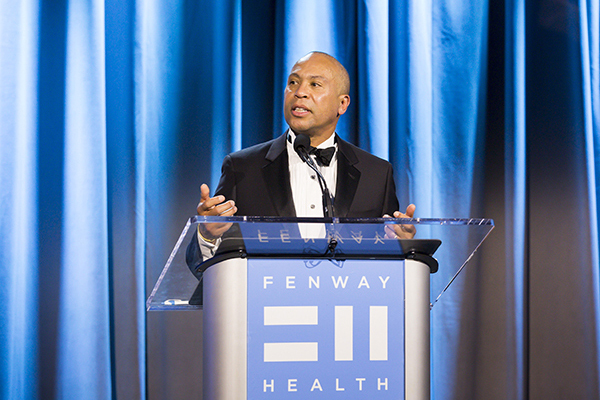 Former Massachusetts Governor Deval Patrick was honored with the Congressman Gerry E. Studds Visibility Award for his work in advancing affordable health care in the Bay State. 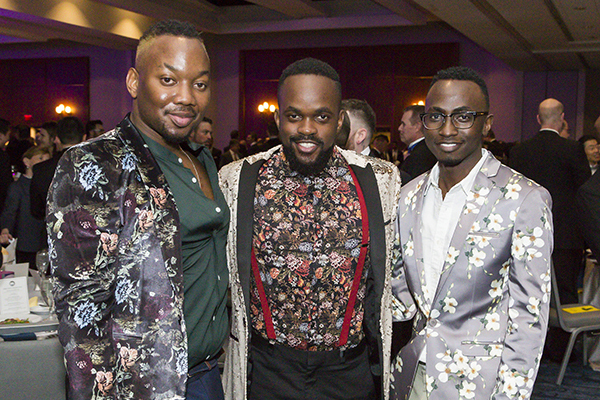 The Congressman Gerry E. Studds Visibility Award is given at The Men’s Event to honor individuals of integrity and selflessness who embody the spirit of service and provide positive leadership for the LGBT community. 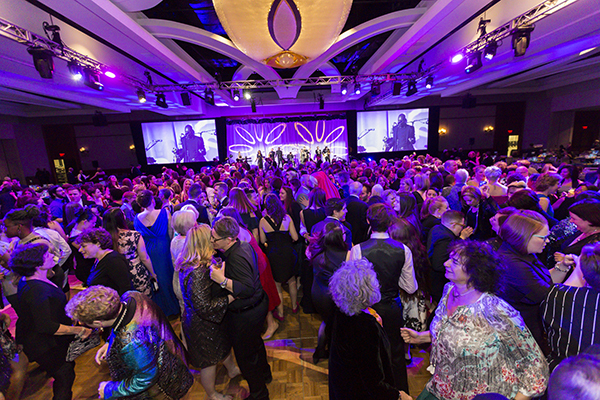 The Studds Visibility Award is given at each year’s Men’s Event in honor and memory of the first openly gay member of Congress, Gerry E. Studds, who passed away in October 2006. 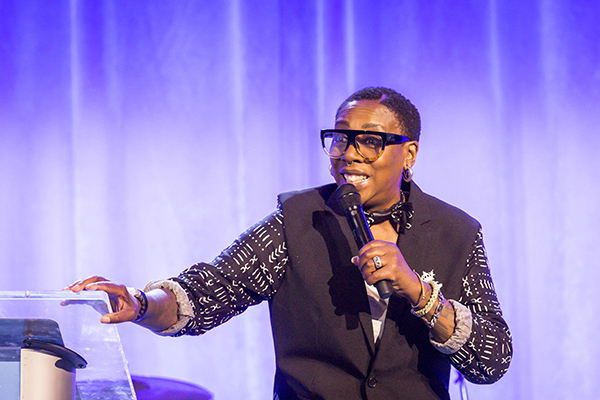 THANK YOU to all of our Table Captains and Event Team, our corporate sponsors, Dinner Party emcee Gina Yashere, DJ Nate Bluhm, Signature, and the more than 2,400 LGBT people, friends, supporters and volunteers who attended the 2018 Men’s Event and Dinner Party for making this a Fenway Health gala season to remember! 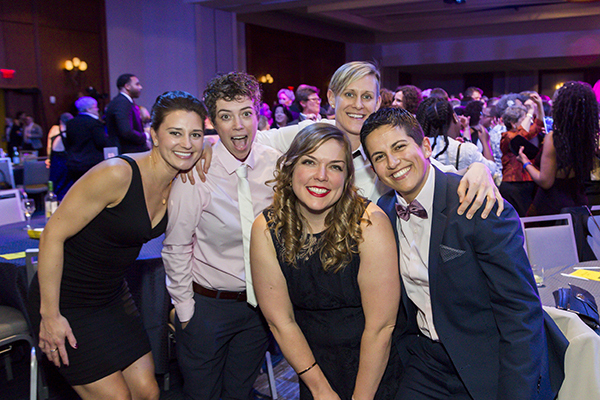 And a special thanks goes out to our Men’s Event Chairs John Basile, Andy Huang, and Gregg Snyder, and Dinner Party Chairs Katelyn Dolan, Theresa Murray, and Amanda Preston-Sicari, whose hard work made both nights possible. 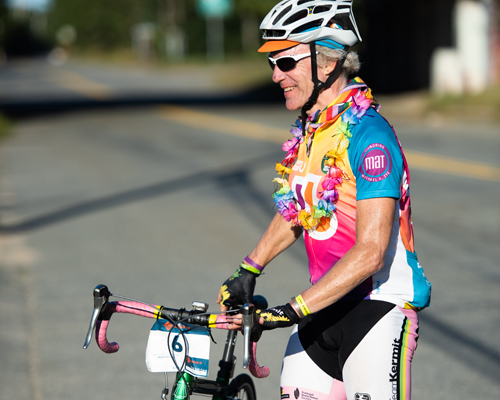 Harbor to the Bay is a charity bike ride from Boston to Provincetown that donates 100% of money raised by riders and crew to support HIV/AIDS programs and services at four area agencies, including Fenway Health. 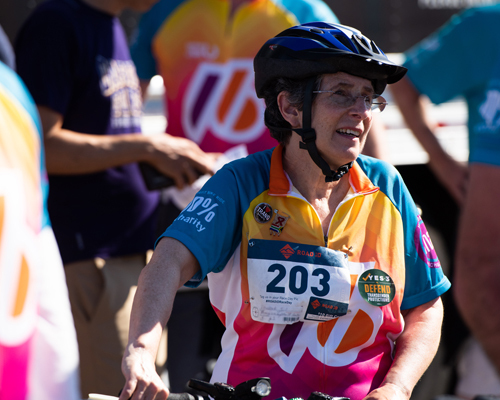 The Harbor to the Bay ride is made possible each year because a core group of dedicated individuals, under the leadership of Harbor to the Bay President and Director Jim Morgrage, volunteer their time and energy to make it happen. 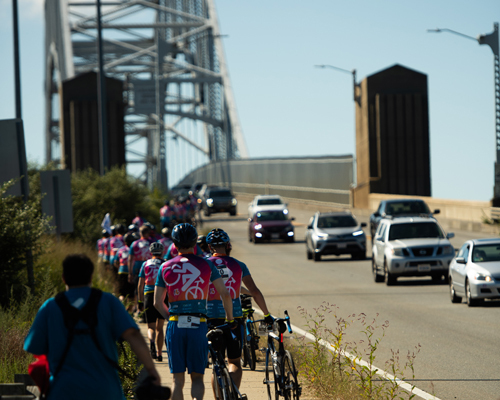 So far, Harbor to the Bay has raised over $4 million, with every penny distributed to its beneficiaries. Few volunteer-driven fundraisers can claim such an impressive track record. 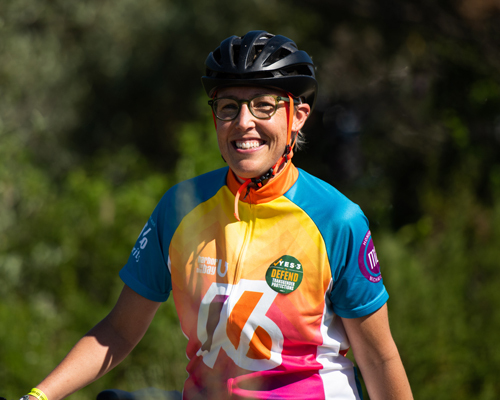 2017 marked the 15th ride, with 103 riders and 33 crew members dedicating their efforts for Fenway Health. 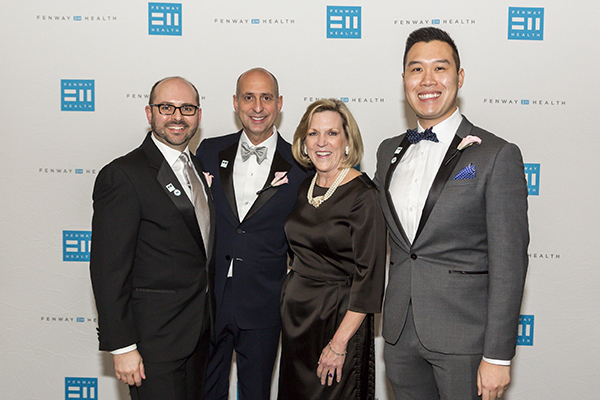 All the money they raised will ensure that Fenway can provide care and services to every HIV-positive person who comes through our doors, regardless of their ability to pay. 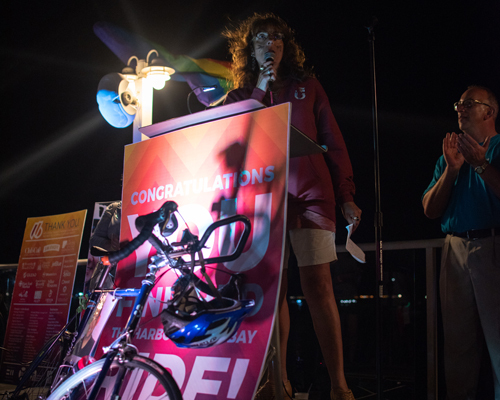 Altogether, the 2017 Harbor to the Bay Ride raised $281,098 for Fenway Health. 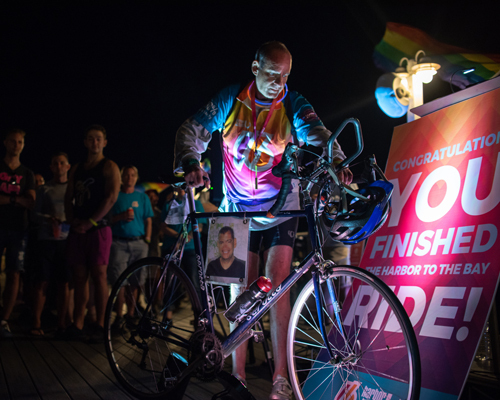 We want to extend a huge thank you to all our incredible riders, crew members, and donors for making this ride such a success. These lists reflect donors and volunteers for fiscal year 2018, July 1, 2017 – June 30, 2018.